What’s the most famous Korean dish in and around D.C.? If you are a lover of food and has gone a lot of trips to taste all kinds of dishes, this could be an easy question for you. But how about those who are currently seeking for something new on their plate? If you are one of them, well, this could be a great guide for you. If you are looking for a Korean place to have a meal and spend your greatest time with the family, here are some options you can consider. Taste the crackling and yummy fried chicken featured in BonChon. It is a Korean restaurant, popular from their double-fried wings. Their chicken is fried twice that can be mixed with their flavorful sauce. You have two options where to dip the chicken; garlic or spicy and spicy. An order will make you wait for 20 minutes, but the serving is surely worth it. BonChon is operating under a franchise model, meaning its appetizers and entrees are different from other menus. But if you wish to experience a good meal in this restaurant, I suggest that you stick with its specialty – the chicken! Do you love fermented cabbage? Well if you do, don’t let Cafe Kimchi pass from one of your meals. You can expect traditional dishes in its menu, especially, bibimbap and japchae. But that’s not the climax of it. What’s better are the Korean-fusion dishes, which range from tea pancakes to a kimchi bacon grilled cheese, kimchi quesadillas, and a bulgogi burger stuffed with marinated beef, slaw, and a fried egg. You’ll feel like dreaming when you set your foot in this restaurant. It is a place where you will taste various classic Korean dishes. Experience a menu that is heavy on the soups, seafood, and spicy beef and pork. The place where it is stationed is so beautiful that you might fall in love with it. The place is tucked between the wholesale noodle and goat meat vendors clustered near Union Market. It is ideal for some sociological factors that every food enthusiasts know. A banchan serving will give you an introduction prior to your real meal. Amazingly, there are so many vegetarian entrees, aside from its delicious meat. On the highlight, they have dolsot bimbimbap, a sizzling stone pot full of veggies nestled on top of rice, and the kimchi jjigae (a very tasty soup). And the best part is, the restaurant’s happy hour deal; $4 drafts are $3, sojutinis are $4, and more! You may not consider this bar as an authentic one, but if you are craving for bibimbap, try it and tell me if it isn’t the best Korean restaurant. 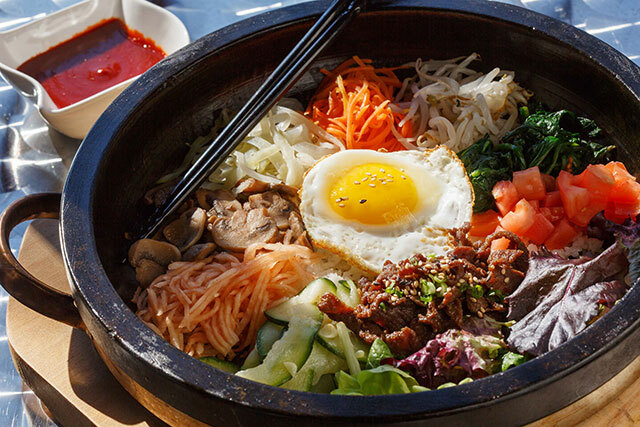 You can choose your own base, toppings, including staples (kimchi, bulgogi, and of course, a fried egg). Do you love black rice? Then this is a sweet place for you. Expect for an order of spicy tofu, broccoli, marinated cucumber, roasted seaweed and sweet potato shoot. If you deem to customize your own serving, you can freely do it, but you might miss the bar’s signature combinations. But customizing makes allows you to season your bowl to your liking. Do all your creations and be amazed of what you’ll come up with. Each bowl costs between $8 and $12. When some events come, you can avail some freebies and samples in the restaurants. Some celebrations will offer you a free bowl or even a whole meal. And there are other things you can score on. There are also restaurants in Freaky Freddies, where you can avail as well. Have you been in one of these restaurants? If you do, you’ll probably have your own opinion with your experience. But if you haven’t yet, then you might consider trying them now. There are good Korean dishes to serve! When to Let Go of Your Perfect Sports?